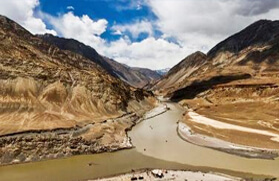 Being one of the wanderers of the Indian Himalayan range you cannot escape from the natural expanse of Manali and Ladakh. 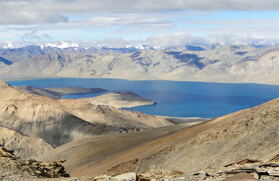 The phantasmagoric landscape dotted with lakes offering a potpourri of heritage, cultural collage of varied tribes, galley of unique cuisine, wildlife and skyline like Roerick painting simply justifies the essence of the Indian Himalaya. 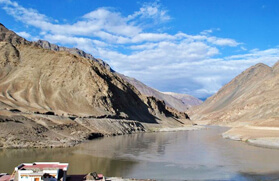 Moreover, Manali Ladakh trekking takes you through some of the high altitude mountain passes, alpine lakes and remote villages, making the journey adventurous and quintessential. 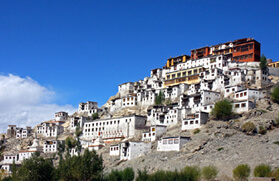 On the other hand, the ancient diorama of Buddhist civilization reflecting from the walls, manuscripts and chortens of several monasteries and gompas mark the most essential part of the journey. 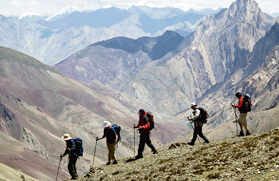 Manali Ladakh trekking tour starts from the popular hill station of Manali, which is at an elevation of 2,050 meters. 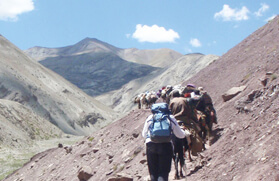 From Manali a gentle trek over a lush green meadow takes you to Lamadug and moves through vivid forests till you step on to one of the remote villages, Riyali. 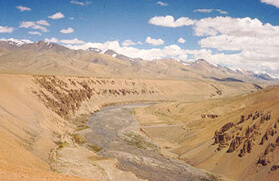 The Manali Ladakh trek follows through Kali Yani Pass at 4,725 meters and continues down to Donku Thach alongside a stream. From Donku Thach the trail leads to Lamapar, which is one of the remote shepherd villages, and thereafter snakes through a verdant valley before reaching Dalmarhi. 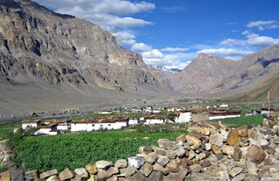 The trek slowly heads through the village of Barabhangal and a steady climb followed by a steep descent leads to Pannatu via Thamser Pass at 4,570 meters. 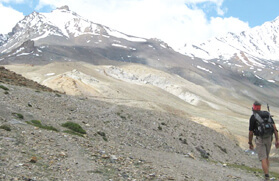 The trail from Pannatu gradually heads to another remote village of Palachak followed by Biling before it leads off at Mcleod Ganj. Delhi Arrival and transfer to hotel for overnight stay. 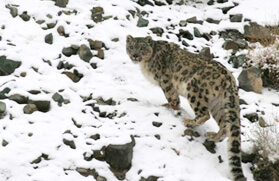 Manali, day reserve for Manali local exploration and overnight stay at a hotel. 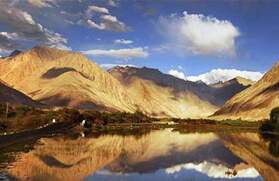 Manali, day reserve for Kully valley exploration and surrounding areas and overnight stay at Manali hotel. 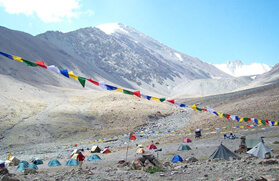 Trek to Riyali-Kali Yani Pass. 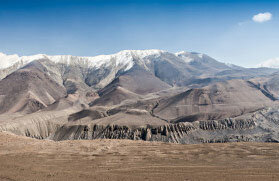 Kali Yani Pass, day reserved for exploration of surrounding areas.